Researchers say electronic cigarettes don't pose the same hazards as second-hand smoke. Some e-cigs are made to look like real cigarettes while others are shaped more like a pen. The signs on the UC Berkeley campus are hard to miss: They feature the word "Breathe" in large white font, followed by the phrase "Tobacco Free @ Berkeley by 2014" placed on a backdrop of the iconic Campanile. In the last few months, the posters have popped up in campus buildings and at bus stops surrounding the university. The signs are part of a new smoke-free policy at UC campuses around the state. Some campuses, including Los Angeles and Santa Barbara, have already implemented the initiative, and UC Berkeley plans to follow suit starting January 1. The campus-wide bans on smoking — including outdoor areas — have sparked little debate. But the prohibition also extends to electronic cigarettes, better known as e-cigs, which have become increasingly popular in recent years. Unlike traditional cigarettes, e-cigs do not produce smoke. They are almost entirely odorless, and some research shows that they may be just as effective as nicotine patches in helping smokers quit the habit. As a result, scientists who support bans on smoking cigarettes and other conventional tobacco products in restaurants and bars say a prohibition on e-cigs on university campuses is not based on sound science. "This is an absolutely premature," Igor Burstyn, professor and researcher at Drexel University's School of Public Health, said of UC's ban. Burstyn recently conducted a review of scientific studies on e-cigs and concluded that they pose no risks to bystanders. "It is important to realize that not everything related to tobacco is bad." 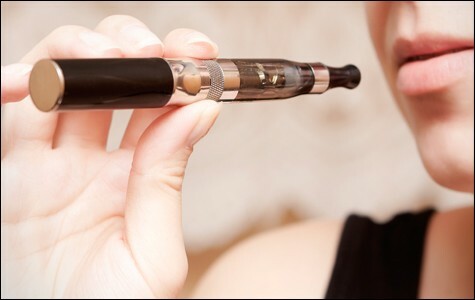 E-cigs, which entered the US market in 2006, are battery-powered devices that vaporize nicotine, which is then inhaled by the user. Some e-cigs look like real cigarettes while others are shaped like a pen. Users can decide how much nicotine they want in their devices, and can choose from numerous vapor flavors, including vanilla, menthol, chocolate, and grape. Vaporizers have also become popular with medical marijuana users because they are much less harmful than smoking cannabis in a pipe or joint. In addition to nicotine, the main active ingredients in e-cigs are propylene glycol, which vaporizes the nicotine, and glycerin. But researchers note that there is only a small amount of these chemicals in e-cigs, and so they do not pose hazards for bystanders. "Propylene glycol is a known respiratory irritant and it is possible, but we do not know, that it could have some respiratory complications. 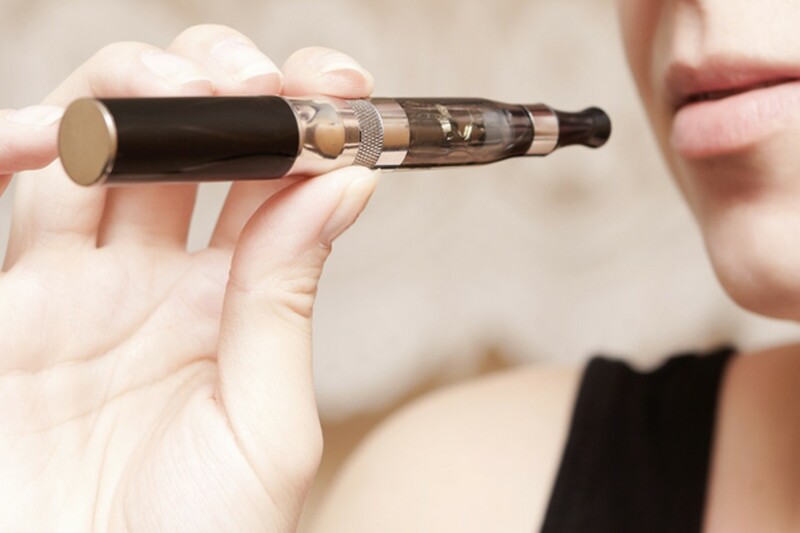 [But] the levels of the chemicals in e-cigarettes are relatively small," explained Michael Siegel, professor at the Boston University School of Public Health, who has fought for bans on smoking in bars and restaurants for more than two decades. Siegel also does not believe that the same restrictions on conventional cigarettes should be applied to e-cigs. E-cigarettes also contain tiny amounts of formaldehyde — which the US Environmental Protection Agency considers to be a "probable human carcinogen" because frequent and intense exposure to formaldehyde has been linked to certain cancers. Formaldehyde is also a common air pollutant in urban areas and is found in many household items, such as adhesives, gas stoves, plywood, nail polish, and mattresses. "We know for a fact that new furniture gives off formaldehyde, even mattresses. Are we going to ban mattresses or force everyone to buy organic mattresses because they give off traces of chemicals?" Siegel said. Conventional tobacco smoke, however, does produce substantial levels of toxic pollutants that are hazardous for bystanders and that's why there is widespread support in the scientific community for bans on smoking in enclosed public places. But e-cigarettes, Burstyn said, "are a different story." "These [second-hand] exposures are insignificant and there is essentially zero concern for bystanders," he said of e-cigs. As a result, he contends that the University of California's decision to extend its no-smoking policy to e-cigarettes is not only unjustified, but it's also "endangering people's lives by denying them safer alternatives [to tobacco]." Burstyn is referring to research that indicates that e-cigs can be effective at helping smokers quit smoking. Last month, scientists in New Zealand published a study in the medical journal The Lancet showing that e-cigarettes may be just as effective as nicotine patches. The study involved more than six hundred people who said they wanted to quit smoking. Researchers gave the participants e-cigarettes with nicotine, nicotine patches, or placebo e-cigs with no nicotine. After thirteen weeks, the researchers found that 7.3 percent of the participants who received e-cigs with nicotine had abstained from smoking conventional tobacco products during that time compared to 5.8 percent of those who used nicotine patches and 4.1 percent of those who got placebo e-cigarettes. The researchers, as a result, concluded that the effectiveness of e-cigs in helping people quit is comparable to that of nicotine patches. The major difference between e-cigarettes and other smoking-cessation products, such as nicotine patches, gums, inhalers, and nasal sprays, is that e-cigarettes are not FDA-approved as a smoking cessation tool. And when asked why e-cigarettes are banned even as a smoking-cessation tool at Cal, Steve Maranzana, project manager of Tobacco-Free Berkeley, responded: "E-cigarettes are not FDA-approved, and we want to steer people towards quitting resources that have been proven to be effective and FDA-approved." FDA-approval or not, scientists and consumer advocates say current research does not justify banning e-cigs in public places — especially not in outdoor areas. "Since there are no harms from exposure to second-hand smoke, [restrictions on e-cigarettes] have nothing to do with protecting innocent bystanders," said Carl Phillips, scientific director of Consumer Advocates for Smoke-free Alternative Association. "With this decision, UC campuses are acting as parents caring for their children, not as an institution that deals with adults." Scientists also say that the university and anti-smoking advocates are wrongly equating traditional cigarettes with e-cigs — perhaps either out of ignorance or fear. "There is a strong ideology in the anti-smoking movement, and now people cannot condone something that resembles the very act of smoking," Siegel said. "Ideology can sometimes get in way of science and, in this case, it is trumping science." Our picks for some of the most worthwhile charities in the East Bay. The best gifts for your furry friends this season.